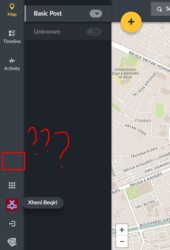 [Angela Oduor Lungati, Ushahidi] Hey XheniBeqiri - try reloading the page? Is that a self hosted deployment or on ushahidi.io? the file of setting on frontend exists, but I really dont have any idea why doesnt show up here :S is a matter of permissions? [Neil Horning] Hi Angela, while you're on... we have a big project planning meeting coming up at Nepalmonitor.org I was wondering if it's an option for anyone with ushahidi to help walk us through what we need to do to upgrade to 3.x given our heavily modified 2.7 codebase. [Angela Oduor Lungati, Ushahidi] @davidlosada - help for Xheni? [Angela Oduor Lungati, Ushahidi] Hi Neil. When are you having the meeting - that way I can check on who can join in? [Neil Horning] It doesn't necissarily have to be at the same time, but on or around might be good. [Neil Horning] It's from feb 13 to 18th. [David Losada, Ushahidi] Xheni, what permissions does that user have? is it an admin? It's from feb 13 to 18th. [Neil Horning] Hey, what's this neat tool that connects all your chatrooms again? [David Losada, Ushahidi] @tonioadj we haven’t been doing changes recently (like in the last couple weeks) on the ushahidi platform api . When did you last try? ok thanks. is it a new link to get the project? [Neil Horning] Does node.js even use css files? 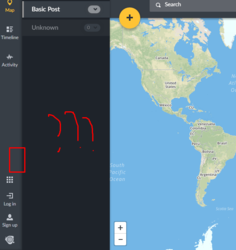 Is there anybody who has created a new site nowdays with Ushahidi? I need to see some sites examples with this new version of Ushahidi (I've seen some pages like zombie reports, or repots kind of that, but they are build with Ushahidi version 2).